Our objective in condemnations is to establish “before” and “after” land development scenarios in order to demonstrate and evaluate various impacts on the property. These scenarios are the basis for the appraiser to determine loss of value help us develop a cost analysis to determine increased costs for developing the land. Loucks’ significant project experience in commercial development, stormwater treatment, parks and open spaces makes us uniquely qualified to provide thoughtful, innovative concept plans to evaluate the impacts of development on the property. Our multidisciplinary thinking adds significant value to the process. Our engineering staff identifies concerns related to earthwork, stormwater management, utility design, and overall constructability of the planning concepts. 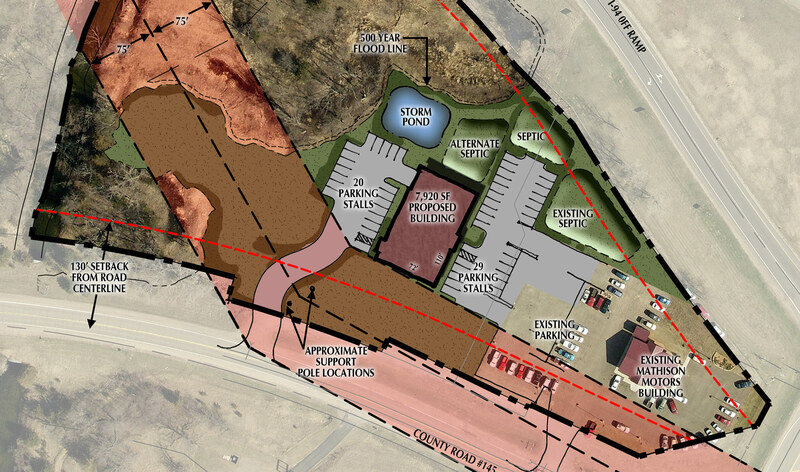 Loucks’ planning team analyzes natural constraints of the property and collaborates with engineering staff to provide sound design concepts that illustrate reasonable development potential, while incorporating costs and other constraints that affect each parcel. Loucks’ extensive experience with condemnation cases provides a strong background which ideally positions our firm to assist in the planning process. Our familiarity with the issues related to condemnation proceedings allows our team to help the client and appraiser fully understand the development impact on the property.